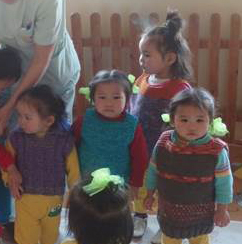 Wool-Aid is again supporting children in orphanages in Akkol and Urupinka, Kazakhstan, where temperatures reach -40 degrees in midwinter. We are partnering with the Motherless Child Foundation to help provide warm, woolen socks and mittens to the children there. 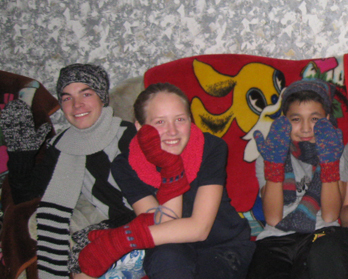 Wool-Aid focuses on the older children, sending larger sizes of socks and mittens to help keep them warm in these extremely cold temperatures. These new and updated patterns can be downloaded from the Patterns page on the Wool-Aid website. Each of the 29 patterns available there meets Wool-Aid guidelines as written, with no modification needed. They were all designed by members of the Wool-Aid community on Ravelry and are included with permission; these patterns are free for charity, non-profit, and personal use. All items created with these patterns for Wool-Aid should be knit with 80%+ wool yarns, according to Wool-Aid Guidelines.